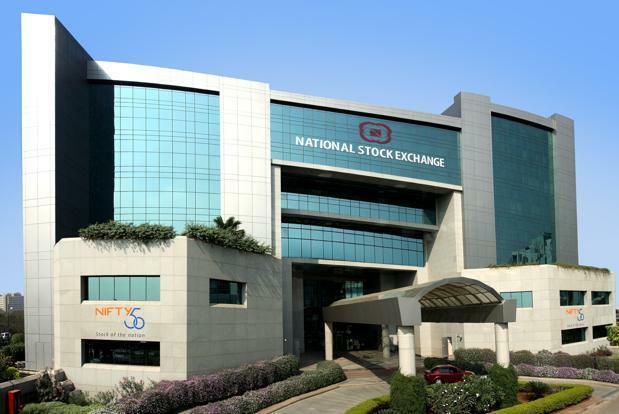 Creating history, the NSE Nifty today breached the 10,000 level for the first time while the BSE Sensex hit another record high of 32,374.30 in opening trade led by rally in metal, banking, realty and FMCG stocks. The 50-issue Nifty breached the historic 10,000 level by gaining 44.90 points, or 0.45 per cent, to trade at all-time high of 10,011.30, surpassing its previous intra-day high of 9,982.05 touched yesterday. Brokers said sentiment was upbeat on sustained capital inflows and widespread buying by retail investors, driven by strong earnings by some more bluechip companies. The flagship BSE Sensex too climbed 128.43 points, or 0.39 per cent, to trade at new record high of 32,374.30, breaking its previous record high of 32,320.86 reached in yesterday’s trade. The gauge rallied 341.47 points in the previous two sessions. Besides, expectations of a rate cut by the Reserve Bank at its meeting next month too bolstered trading sentiments as participants indulged in raising their bets, they said. Top performers during initial trade were Hero MotoCorpt, Bharti Airtel, HDFC Bank, Tata Steel, Power Grid, ICICI Bank, Kotak Bank, NTPC, Bajaj Auto, SBI, M&M, Dr Reddy’s, Adani Ports and ITC Ltd, rising by up to 1.28 per cent. The 50-issue Nifty breached the historic 10,000 level by gaining 44.90 points, or 0.45 per cent, to trade at all-time high of 10,011.30, surpassing its previous intra-day high of 9,982.05 touched yesterday. Brokers said sentiment was upbeat on sustained capital inflows and widespread buying by retail investors, driven by strong earnings by some more bluechip companies. The flagship BSE Sensex too climbed 128.43 points, or 0.39 per cent, to trade at new record high of 32,374.30, breaking its previous record high of 32,320.86 reached in yesterday’s trade. The gauge rallied 341.47 points in the previous two sessions. Besides, expectations of a rate cut by the Reserve Bank at its meeting next month too bolstered trading sentiments as participants indulged in raising their bets, they said. Among other Asian markets, Hong Kong’s Hang Seng index was up 0.09 per cent while Japan’s Nikkei shed 0.13 per cent. Shanghai Composite Index down 0.32 per cent.